Uh-oh! The family we are staying with this weekend are celebrating two kids' birthdays. Gifts are called for - and quick ones at that! 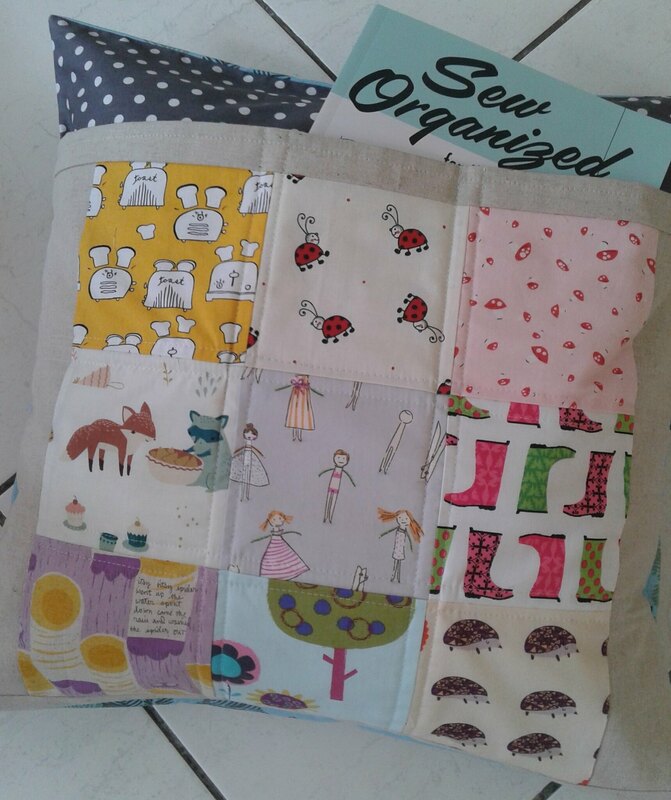 My new favourite sewing book 'Sew Organised for the Busy Girl' by Heidi Staples to the rescue! 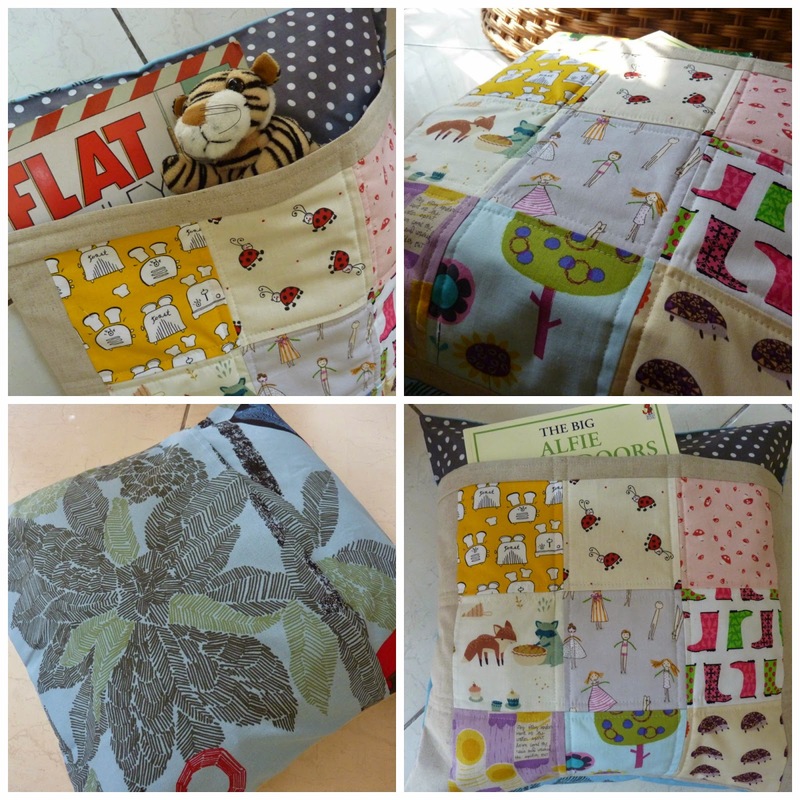 ... a 'Book Nook' pillow/cushion. Perfect for time out, reading quietly, playing with teddies, and maybe even a quick snooze! 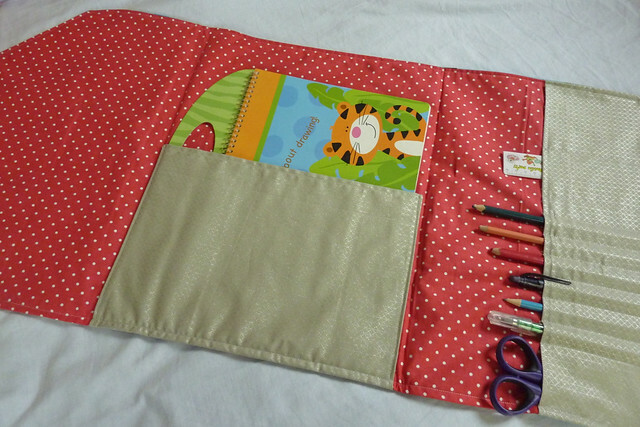 Great for carrying around a sketch book and art supplies, ready to create, sketch or colour at the drop of a hat! I cannot recommend this book highly enough. 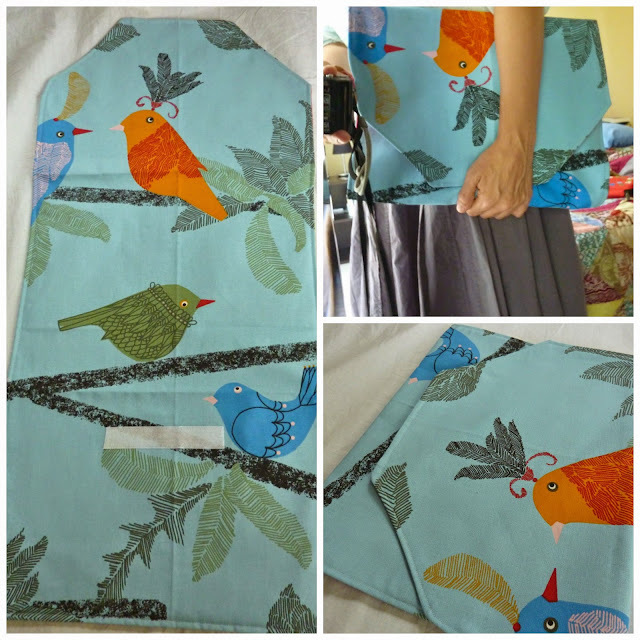 Great, simple, fun projects and the directions are really clear and well laid out. Well done Heidi! If you haven't visited 'Weekend Doings' yet, you are missing out on a real treat ... go on, take a look! Deborah, I said I wasn't buying any more quilting books, but am now off to order this! How can I not with those makes. I love those - have to buy that book! The book nook pillow is gorgeous! Great gifts, love the toaster fabric in the cushion! 2 awesome gifts!! So perfect for the ages of the lucky recipients. The book sounds very handy, thanks for the recomendation. These are such sweet gifts! I love them both! That fox fabric in the cushion (or is it s Snooks Book Nook pillow!!?) is adorable! Both of these look amazing - perfect gift projects for children - not too hard and to make and very usable! What a charming idea - a pillow with a book sleeve. Congratulations on both finishes. What a fun project! I love the pocket pillow! =) Thank you for sharing!!! I have made book bags that hang on the sides of a bed for bedtime reading, but not a pillow. Good idea! That pillow and the art clutch will make the children VERY happy Deborah! Heck they would make anyone happy. You did a beautiful job with them and i love the fabrics you selected. I ordered Heidi's book and need to curl up with it for a good browse through. Muy bonitas las telas y muy buena idea. Great projects! Great choice of fabrics! Heidi's book has really wonderful projects. I love your fabric choices. I'm sure those gifts made the little ones really happy. I think I want one of those art clutches for myself. 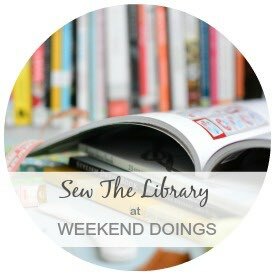 Thank you for linking up your gorgeous finishes to Sew the Library.